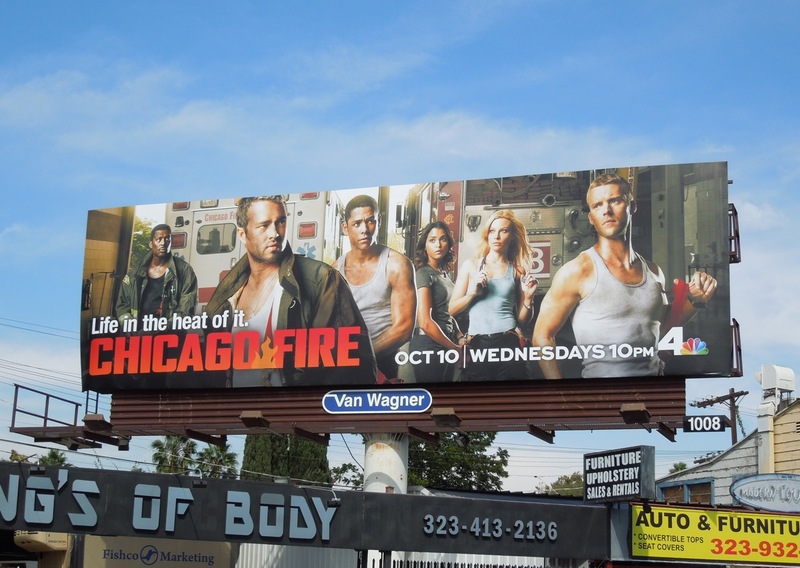 Things are certainly heating up this TV WEEK with new show Chicago Fire providing lots of hot young things to light up the skies of L.A. 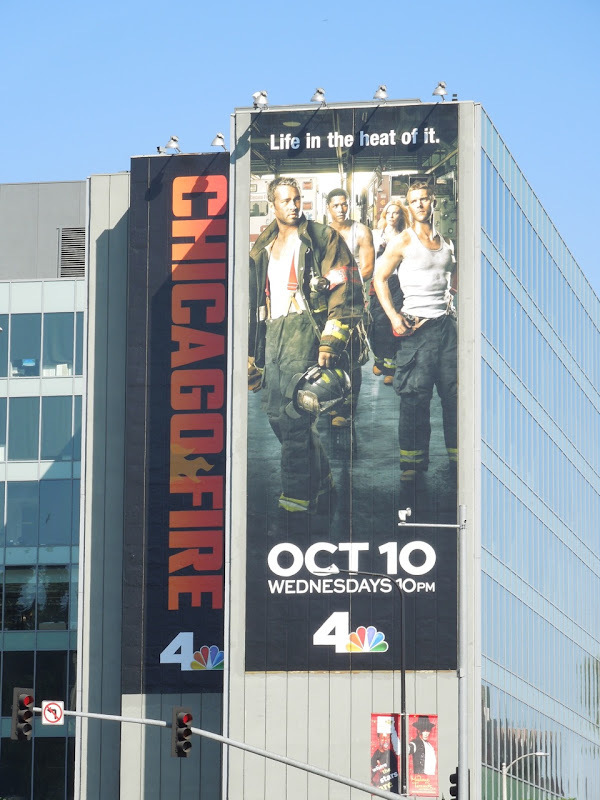 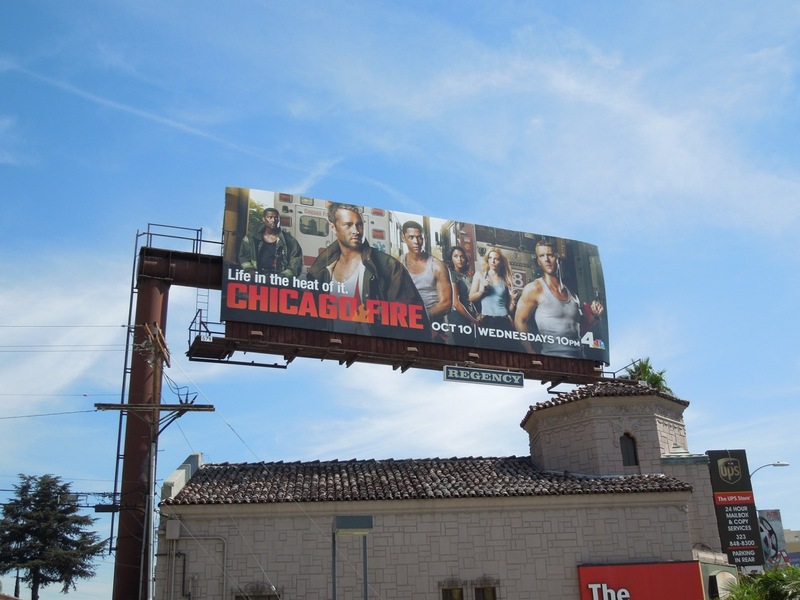 Following on from another new Fall season addition, Revolution, NBC seems to be putting major ad support behind this new firefighting drama with tons of billboards all around the City of Angels. 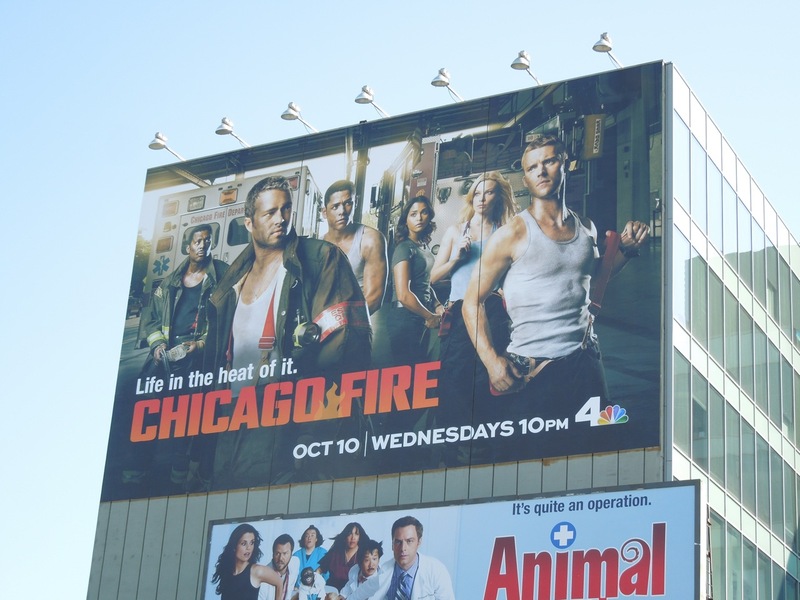 The new series promises 'life in the heat of it' and follows the fortunes of the firefighters, rescue squad and paramedics who operate out of Chicago Firehouse 51. 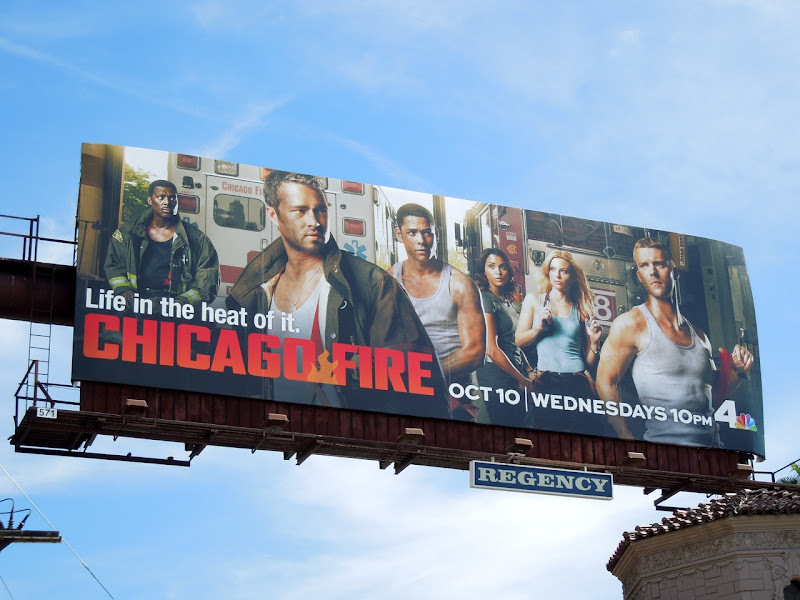 The cast is full of lots of familiar faces like Taylor Kinney from the short-lived Trauma paramedic drama, Jesse Spencer from all eight seasons of House M.D., Lauren German who enjoyed a second season stint on Hawaii 5-O, Monica Raymond who was a recurring character on The Good Wife and Eamonn Walker of Oz fame as 'Battalion Chief Wallace Boden'. 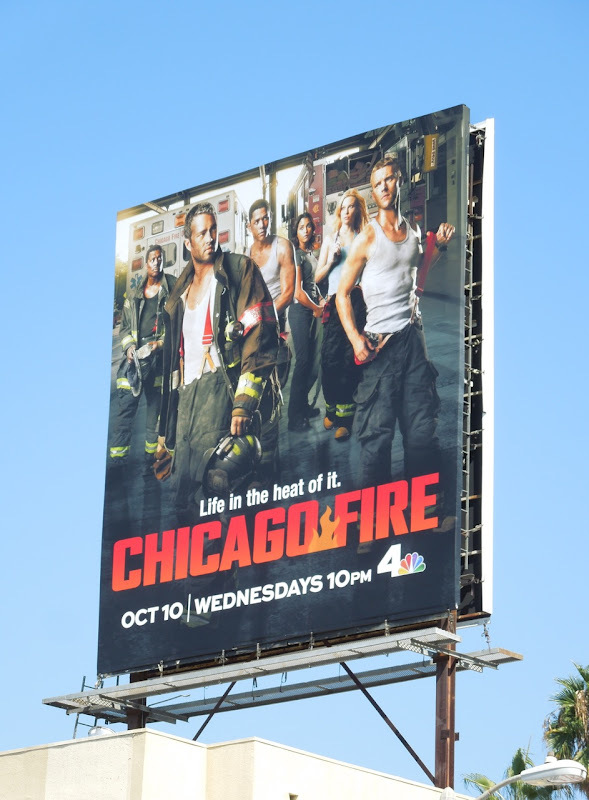 With that pedigree of television work it sounds like they'll be well equipped to handle whatever Chicago Fire has to throw at them. 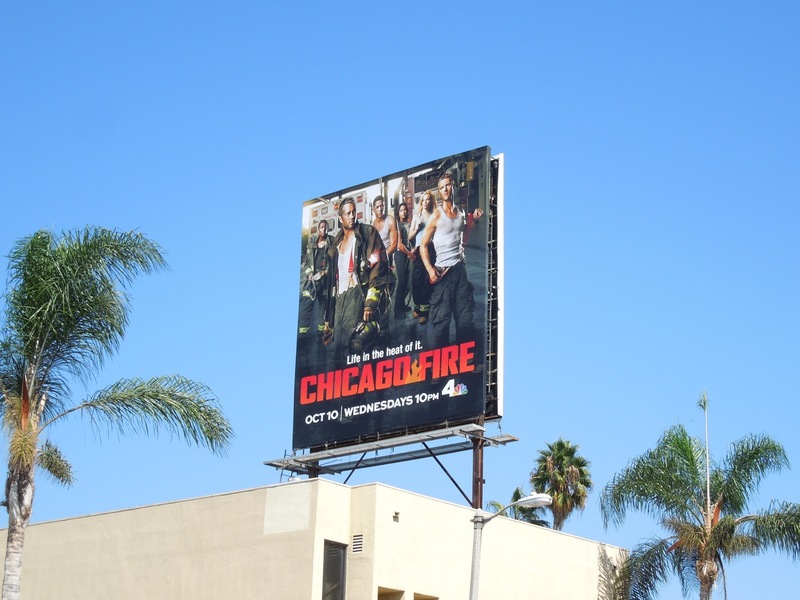 These selection of billboards for the new show were snapped along Sunset Boulevard, Melrose Avenue and Beverly Boulevard from September 24. 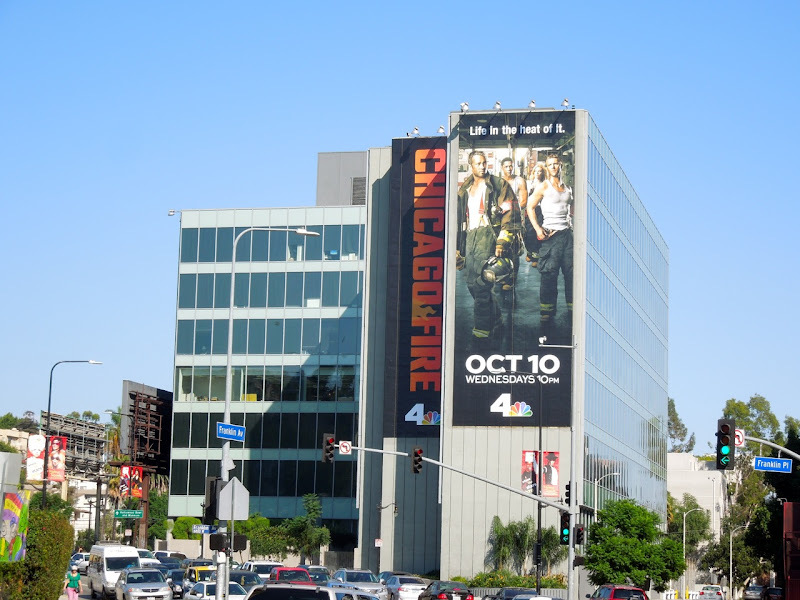 The super-sized creatives were snapped at the busy rush hour intersection of Highland and Franklin Avenues on September 30, 2012. 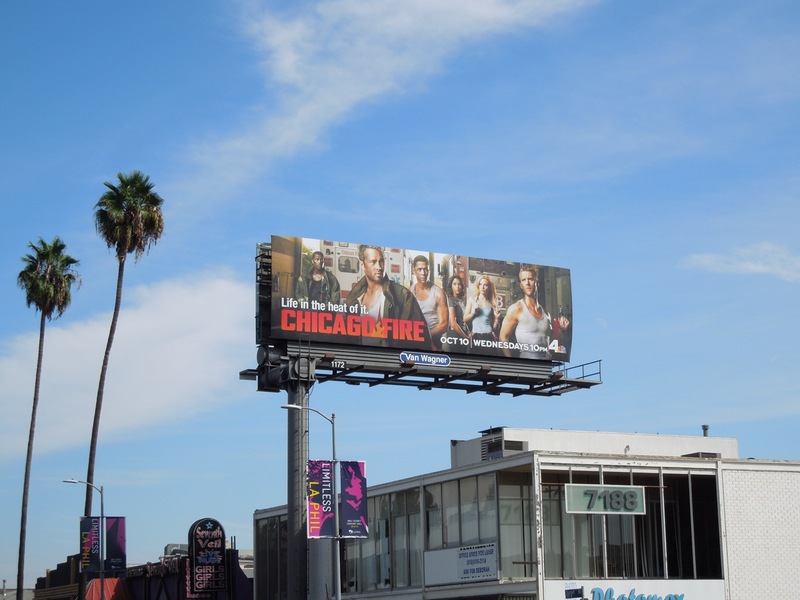 Let's hope the huge investment in the advertising budget will be worth it. 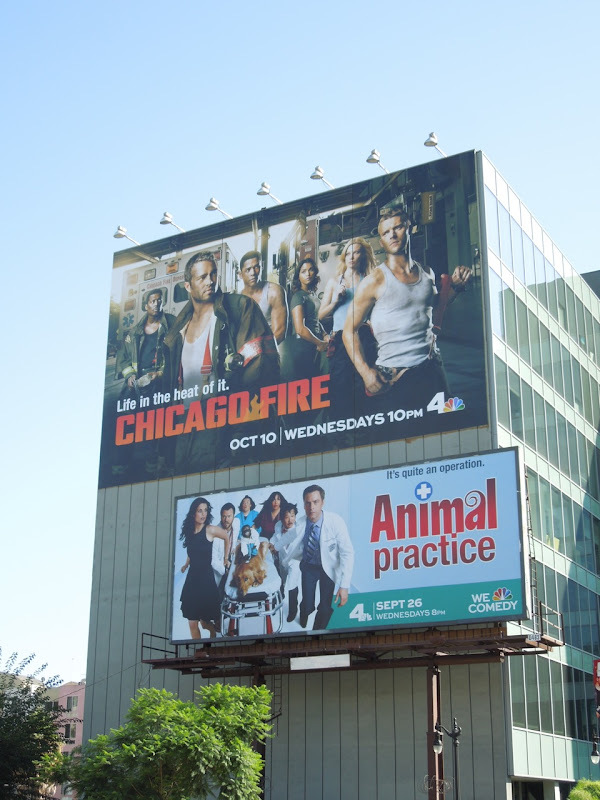 Meanwhile, for more TV series set in Chicago, check out these billboards for Boss and Chicago Code.